Microsoft Surface Laptop (Intel Core i5/i7, Mid 2017) is the first laptop with the touchscreen designed and manufactured by Microsoft. Laptop has two iteratisell-tablet-microsoftons regarding the CPU installed. Microsoft Surface Laptop. Style and speed. Microsoft Surface Laptop (Intel Core i5/i7, Mid 2017) features a 13.5-inch PixelSense touch display with Surface Pen support, an Intel Core i5 or i7 processor, an Intel HD Graphics 620 graphic processor, 4GB\8GB \16GB of RAM and a 128GB\256GB\512GB solid state drive aboard. There’s no SD card reader, so the internal storage is not extendable. The keyboard lacks the numpad but sports the large touchpad and is made of Alcantara, soft and comfy to touch. Surface Pen and Surface Arc Mouse are available for an extra cost and don’t come in a bundle. Experience faster, more natural navigation on the vibrant 13.5-inch PixelSense Display with immersive touchscreen. Surface Laptop is simply a laptop and its screen is NOT DETACHABLE. 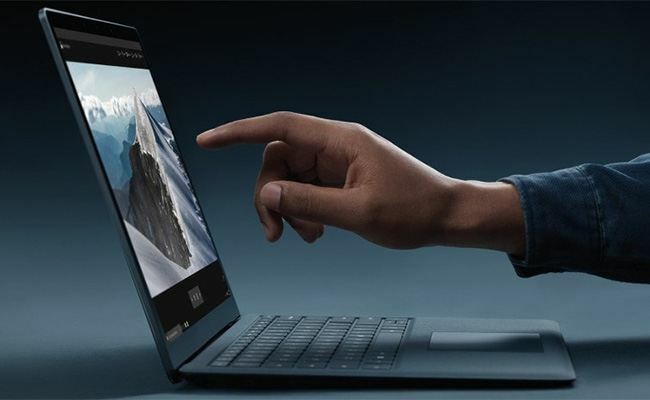 But Surface Laptop is the first ever premium laptop with the touch screen and as such it supports not only the Surface Pen but also the Surface Dial! 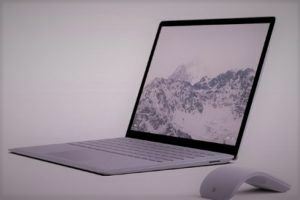 As Microsoft is going to pitch this laptop against entry level MacBooks, they followed the Apple pattern and ditched all the ports but the mini Display Port and the USB 3.0 port. There’s no USB Type-C. As Microsoft claims, Surface Laptop needs no gimmicks to be cool. To plug in any peripherals, you’ll have to use the Surface Dock. It warps the idea of portability Microsoft hypes. Another accessory to accompany the new laptop is the Surface Arc Mouse. It features three colors to match the laptop: Burgundy, Light Grey and Cobalt Blue as well. If you buy a Surface Pen, you’ll have to keep it somewhere else too, as there’s no magnet strip anywhere around Surface Laptop to store it. The Alcantara keyboard is waterproof and easy to clean. Two Dolby Omni Sonic speakers are housed just beneath it. Describing the baby-new brand laptop Microsoft uses the word “configuration”. But all the configurations are pre-fabricated and a purchaser has to pick from them. There are two CPUs, three RAM’s options and four internal storage options. The price starts from $999. As for the processors generation, speed and architecture we for now can’t give you any details. The first shipping is due in mid-June. But as far as we get our hands on any significant we’ll let you know at once. Yet, Microsoft promises, Surface Laptop can playback 4k hi-res video. Obviously, we can’t expect any calculating powers from this system. It’s meant for education purposes in the first place. Surface Laptop is great for work with documents and presentations, watching educating video and conferencing. As a student’s laptop, Surface didn’t get any fingerprint reader and as for the Windows Hello system, there’s no clue that the laptop features it at all. Surface Laptop runs Windows 10 S, this is the OS special edition for this very system. Users will get all upgrades free within one year from the purchase, and will pay as little as $49 afterwards for each upgrade.